There’s nothing like the rush of watching an upset in progress. The crowd turns. There’s an energy in the building. The broadcast swells as the possibility slowly spins into reality. In hindsight, anyone can pick apart an upset and try to guess what happened. Maybe the higher seed didn’t give its best effort or simply shot the ball terribly. Hindsight has the benefit of instant replay, box scores, and analytics. Before the games are played, we don’t quite have those luxuries. We have to scour through the past resumes of teams, pinpointing the strengths and weaknesses that might make a miracle happen. Finding a needle in a haystack is hard. It’s a lot easier with a metal detector and lot of information about where past needles have been found in historical haystacks. Looking at this year’s field, three low seeds stand out to me as having a real chance to make waves. UC Irvine and Old Dominion also have a possibility, but the three teams detailed below check a lot of the boxes that could lead to Cinderella status. We’ll start with Yale, who I think has the best case to pull a first round upset of any high double-digit seed. The Bulldogs finished the season with just seven losses, ranked 84th in KenPom and 77th in ESPN’s BPI metric. Yale has already beaten two power conference opponents this year, a miserable Cal team and a fiesty Miami Hurricanes squad. Neither of those teams made the tournament or has anywhere close to the same level of talent of LSU, Yale’s first round opponent, yet those wins showed that Yale isn’t your typical Ivy League team. The Bulldogs thrive while playing a screaming fast pace. Their offensive pieces are best utilized in transition, finding the gaps in a defense that hasn’t had time to set. Alex Copeland is a smart lead guard with an eye for his teammates streaking down the court and an uncanny ability to find his own shot in the midrange. Azar Swain is also a capable ball-handler but is best known as an outside shooter. In the speed of Yale’s offense, Swain is able to find chances to spot up beyond the arc. He doesn’t need much space, thanks to a lightning quick release on his jump shot. Yale’s bigs are all swift-footed and agile. The Bulldogs ranked in the top 25 in the nation in defensive rebounding rate. Yale cleans the glass, quickly fires an outlet pass, and gets running right away. Jordan Bruner is finally returning to full health after a host of knee surgeries sidelined him and kept him cautious as he re-built his strength. As a freshman two years ago, Bruner averaged 15 points, 10 rebounds, and 4 blocks per 40 minutes of action. He’s looked crisp of late, grabbing double-digit rebounds in three of his last seven games. 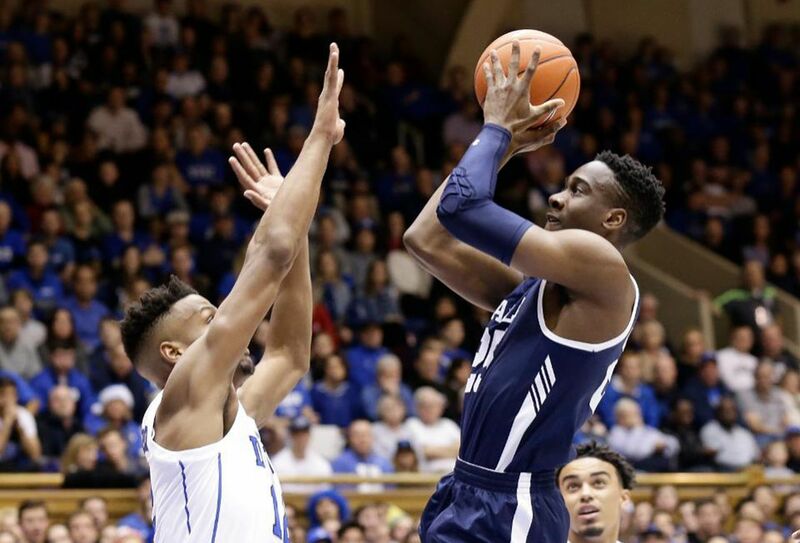 All of Yale’s success, however, especially in transition, is centered on swingman Miye Oni. The junior from California has skyrocketed from a former Division III commit to walk-on at Yale to a legitimate NBA Draft prospect. He, more than his teammates or most mid-major players faced with battling Goliath this week, has the athleticism to hold his own. In transition, Oni plays downhill with the ball, knifing his way to the rim at high speeds. He can finish above the rim, pull up for a jumper, or pass to a teammate. He’s a dangerous playmaker, with an assist rate over 20 percent and a penchant for drawing contact. He’ll give LSU trouble. Speaking of trouble, LSU is already in plenty of it. Head coach Will Wade has been sent to basketball purgatory, due to his involvement in illegal recruiting and his voice popping up on an FBI wire tapped phone conversation. Since that news hit Baton Rouge, things have been fishy around the Bayou Bengals. LSU lost to Florida in the SEC Tournament quarterfinals, with interim coach Tony Bendford picking up a crucial technical foul late in the proceedings. If you remember back to just last year, another team was embroiled in controversy entering the NCAA Tournament. Arizona was on the hot seat then, with coach Sean Miller reportedly heard on FBI wire taps. In the first round of the Big Dance, the Wildcats laid an absolute egg and were not just upset but blown out by Buffalo. Arizona looked disengaged and played absolutely flat as rumors about its program swirled. This serves as direct precedent for this LSU team. The Tigers, by the way, have plenty of basketball reasons to be on upset alert this week as well. LSU’s best player and leading scorer is Tremont Waters. He’s a very good player, but Waters is only 5-foot-11. Other top teams challenge their low-seeded first round opponents with size and athleticism beyond what the little guys have seen or are capable of stopping. Waters is quick, but not far different than a player Yale just defeated, Harvard’s Bryce Aiken. In the Ivy League championship, Aiken managed 38 points, but Yale still rolled to a decisive victory. Additionally, this LSU team has overachieved statistically. The Tigers are 5-2 in overtime games this year and 10-4 in games decided by less than five points. Both of those are inflated beyond expectation. If LSU hadn’t survived so many close calls, it likely would have been seeded several lines further down, more in range for an upset. In my opinion, Yale was slightly underseeded and LSU slightly overseeded, making this match-up feel more like the classic upset-prone 5-vs-12. If it’s the little numbers next to the team names scaring you off here, try again. Yale has a real chance to win. If you really want to get crazy with me, I think the Bulldogs can win again in the second round, but let’s hold off on that take until the weekend. This Vermont team should feel a year too late to be truly dangerous. Last year’s Catamounts were led by point guard Trae Bell-Haynes, who drove everything Vermont did offensively. He would have been a terror in the tournament. Instead, this year’s Vermont squad is a bit more balanced, with several players able to initiate offense. In truth, the loss of Bell-Haynes has been filled in many ways by the emergence of Anthony Lamb. The junior had always been strong post player but with Vermont in need of more playmaking, he’s become a better ball-handler, shooter, and more comfortable operating further from the basket. Vermont looks to enter the ball to Lamb at the high post, either on the elbow or directly at the nail, letting him operate with shooters flanking him on either side. Three of those shooters are the Duncan brothers, the rare trio of siblings found on the same college basketball team. Ernie, a senior, is strong catching and shooting as well as attacking with a dribble drive. Everett, a sophomore, is more of a stand still shooter and Robin, a freshman, is best off the bounce, blowing by a close out. 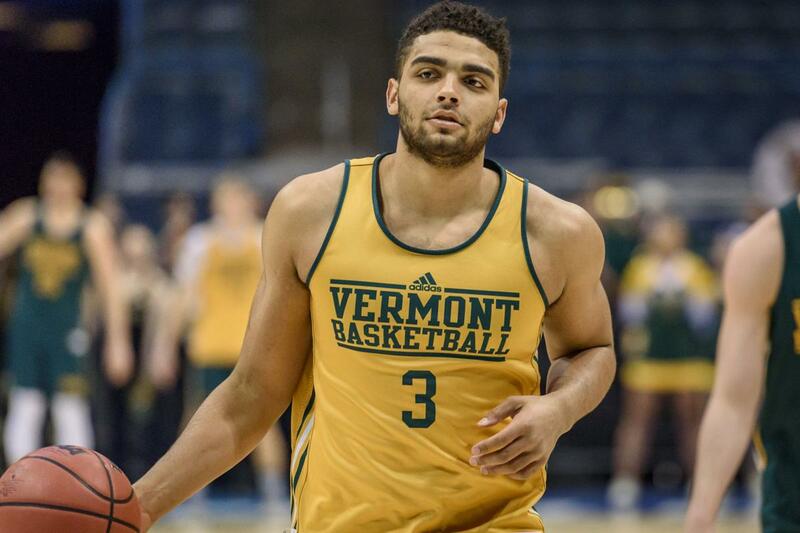 The rest of Vermont’s roster is made up of athletic wings who all play bigger than their listed size and can score as needed in the flow of the offense. Size tends to be an issue for the Catamounts, especially looking ahead to their first round match-up. Lamb is often the nominal center for Vermont, but stands just 6-foot-6. He has a strong base and lower center of gravity that help him establish position against most mid-major big men. Against a team like Florida State, Lamb and his teammates will have a tougher time. The Florida State rotation features two 6-foot-8 forwards, a long 6-foot-10 player in Mfiondu Kabengele, and 7-foot-4 Christ Koumadje. Vermont excelled this season on the defensive glass, ranking 2nd in the nation in cleaning away misses this season. It’s hard to imagine the Catamounts succeeding to that degree against Florida State’s size, but the Seminoles will also need to make adjustments. When Lamb is Vermont’s tallest player on the court, Florida State coach Leonard Hamilton will need to make some tough calls. Koumadje can’t guard Lamb on the perimeter and Vermont doesn’t play traditional bigs for him to cover. Hamilton could counter with zone, though that would be risky against a team that shoots like Vermont. The Catamounts sank 36.4 percent from deep during conference play, 2nd best in America East. Kabengele would seem to be the best fit to cover Lamb, athletically. In his career, however, Kabengele has been plagued by foul trouble. In two years with Florida State, Kabengele has averaged 5.2 fouls per 40 minutes of play. At times, it’s seemed like he could barely stay on the court. This season, despite leading the Seminoles in scoring, Kabengele has only managed 21.1 minutes per game. In 68 collegiate games, he’s committed four or more fouls 18 times and fouled out of six games. He could learn a thing or two about defensive position from his uncle, Dikembe Mutombo. Making this situation worse, Anthony Lamb hunts for contact. He lead the America East in drawing fouls this season at 6.7 per 40 minutes. He ranked 41st in the nation in that statistic, leading to 11 free throws per 100 possessions. It’s not crazy to think a player like Phil Cofer from Florida State could guard Lamb, but that leaves Koumadje and Kabengele stuck out of position or on the bench. Florida State paying without its best scorer and best center would be like packing a gun without bullets. Some teams that pull an upset are underseeded or simply play far better than expected. In many other examples, the teams that end up stealing a first round win do so because they play a style that leads to a high variance in performance. A team that has been steady all year isn’t as likely to suddenly play far better than usual. Instead, teams that have high highs and low lows can bank on reaching their ceiling to pull the upset. The Middle Tennessee State team that beat Michigan State a few years ago and the Bucknell team that topped Kansas in 2005 stand out as perfect examples. For those of you buying into this theory about variance, may I introduce you to the Northeastern Huskies? Northeastern beat Alabama this season. The Huskies also beat a good Hofstra team twice, won at Bucknell and Harvard, and nearly stole a game at Vermont. They also lost to terrible teams like Boston University, Delaware, and Towson. They lost a neutral site game versus Virginia Tech by almost 30. High variance enough for you? It’s easy to see why Northeastern has ebbed and flowed so sharply this year. The Huskies shot 3-pointers at the 22nd highest rate in the nation. Northeastern shot the long ball at the 14th best percentage in the nation, helping the Huskies post the 5th best effective field goal percentage in all of college basketball. 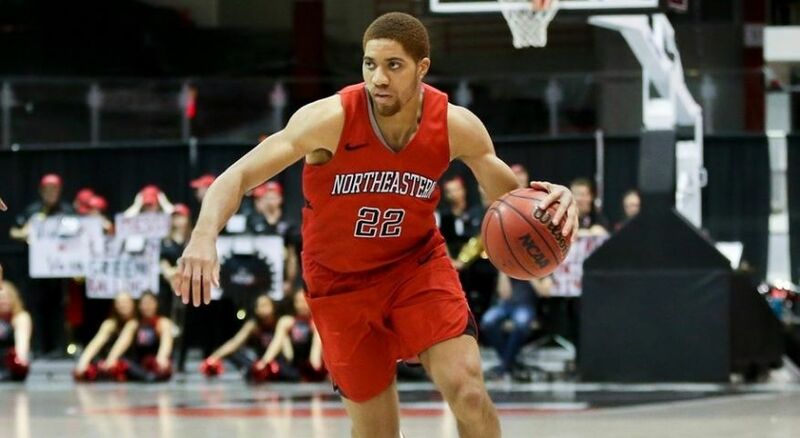 Four Northeastern players shot 39 percent or better from outside the arc while taking more than 135 attempts this season. “Live by the three, die by the three” is a tired cliche but it still rings true for many teams. Northeastern made less than one-third of its 3-point attempts in seven games this year and lost four of those match-ups (including the season opening clunker against BU). The Huskies made better than 46 percent of their deep balls in ten games, with the only loss in that group coming against Virginia Tech. If Northeastern is shooting well, they will give Kansas a fight. The Jayhawks, given the season they have endured, may not be ready to take that kind of punch. One of Bill Self’s starters was lost to injury. Another left the team for personal reasons. A key bench player was suspended by the NCAA. The Jayhawks hallowed Big XII regular season championship streak was snapped. Iowa State fans outnumbered and silenced the Kansas faithful in Kansas City as the Cyclones blew out the Jayhawks to win the Big XII Tournament. The Jayhawks, as currently duct-taped together, rank outside the top 300 in the nation in experience and bench production. Kansas relies heavily on three freshman, including its starting point guard and a player who burned his redshirt to help salvage the season, as well as two transfers in their first year in Lawrence. Kansas looks like, from a distance, a house of cards. A flurry of Northeastern 3-balls could be the gust of wind that crumbles Kansas and sends the Jayhawks home.